When I was a kid, my mom used to make empanadillas or empanadas. These flaky baked or deep fried stuffed pastries were the perfect snacky treat growing up. My mom stuffed them with beef and spices and deep fried them for golden succulence. The way they are prepared differs from country to country. For example, in Colombia they use corn flour, in the Dominican they use tomatoes and some use potatoes or fish for stuffing. Although, I’m part Latin, my mother didn’t really cook a lot of Panamanian cuisine due to my father’s dislike of it. Instead she studied the art of Cajun and Creole cooking and dominated the genre completely. Arroz con Polla was the mainstay Latin dish she used to make, but my younger taste buds did not care for olives at the time. When she did make empanadas it was such a treat and bring me back to a place of heritage and my mom’s top shelf cooking. When I moved to New York, you could always find a tasty, flaky stuffed pastry. In RVA, Latin food, other than Mexican is becoming more popular, especially in the food truck scene. So where do you find such deliciousness in town? 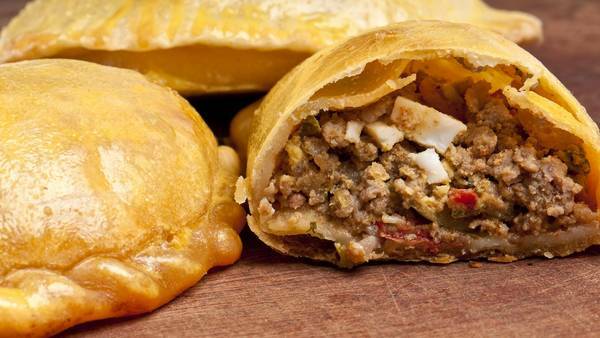 I can attest that Kuba Kuba and The Happy Empanada (shout out to my Panamanian sisters) make some of the best I’ve ever had in town, but in my research, others have been recommended highly to me. You might want to stop by and get you one to celebrate!